The heat of the summer has made the ice cream, smoothie and milk tea businesses more thriving these days. 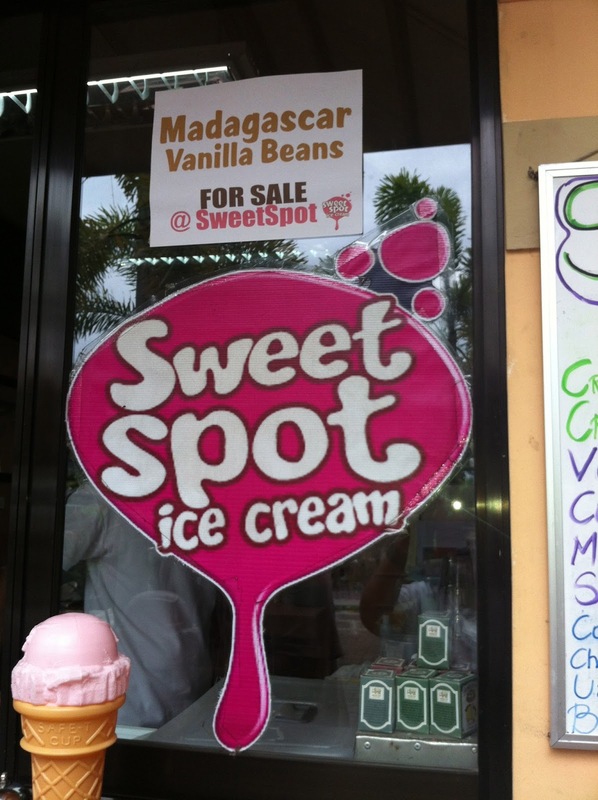 Recently I was brought to a whole new world of my favorite comfort food and was able to sample Davao's first and only maker of artisan ice cream, Sweet Spot. It is called artisan because it is made by skilled crafts persons who produce the ice cream in smaller batches, as needed. The exciting trivia about Sweet Spot is, it's the first ice cream shop to use crocodile eggs for their ice cream to replace the traditional cream. This makes the consistency more creamier and tastful. 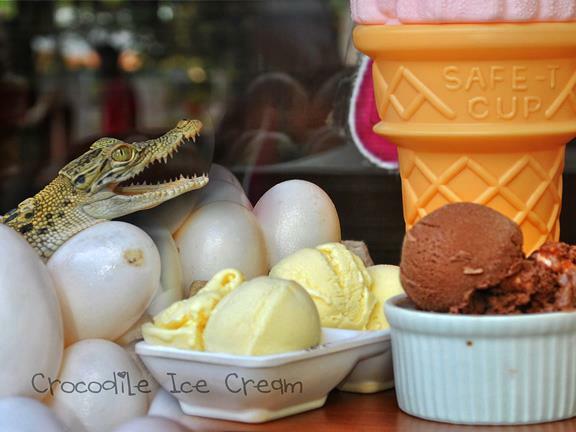 As of now they serve two flavors made with crocodile eggs: the Dragonfruit Crocodile Ice Cream and the Buko Pandan Crocodile Ice Cream. You may also enjoy the classic and fruity flavors such as: Mango Mazing, Vanilla, Coffee Rush, Strawberry, Cookies & Cream, Cheezee Cheese, Ube Purple and Buko Pandan. They offer classic and refreshing fruit ice cream flavors at affordable prices!! 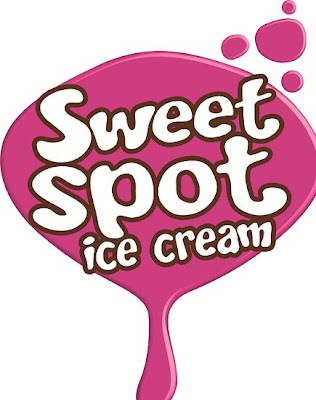 The smooth and creamy taste of Sweet Spot Ice Cream stands true to the same quality and passion for business, as shown by its sister companies popularly known in the field of tourism, dining and entertainment here in Davao City. ahhh, they look so yummy! i don't think i ever had ice cream with crocodile eggs. Makes me drool just by looking at it, I'd take some mango flavored ice cream. wow! i have been to the Crocodile Park in 2010 and have been amazed at the many things the complex offers. so when i go back home, i will make sure i will have a taste of this one-of-a-kind ice cream. That dragonfruit flavor for an ice cream is really something I look forward to trying. Looks so yum! 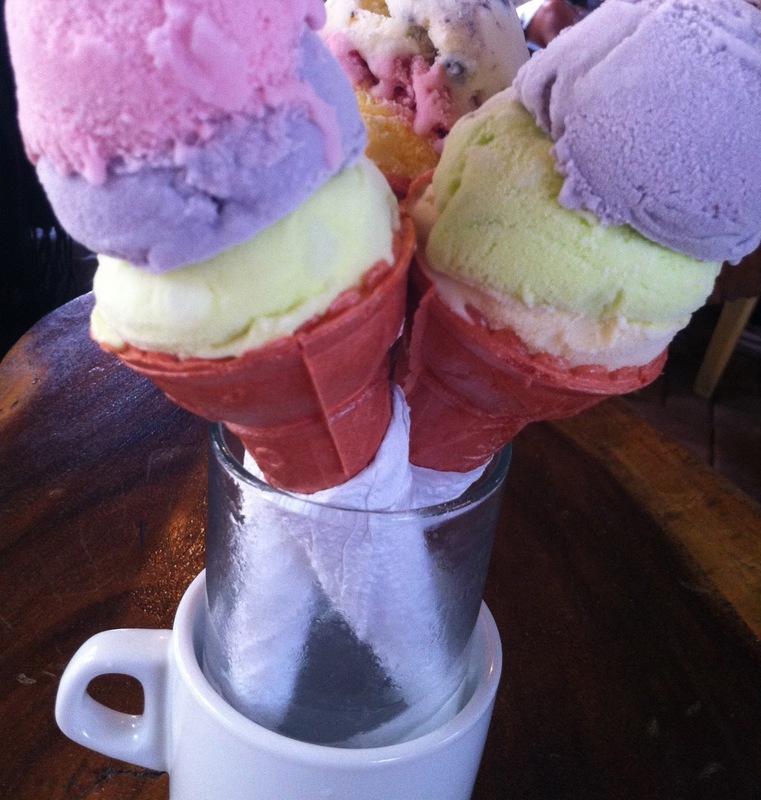 Indeed, ice creams are an "in" thing while the summer heat stays. 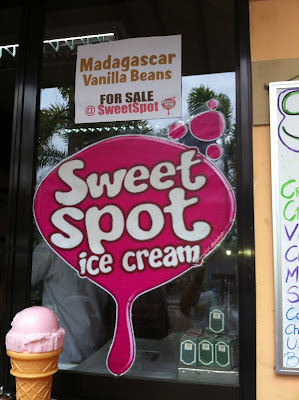 ahhhh sweet spot ice cream! Worth it ang drive from downtown to Crocodile Park ate with Bianca's ice cream..
Crocodile eggs? Wow, I wonder how that tastes like. A must-try ice cream. Love to check the buko pandan and mango. 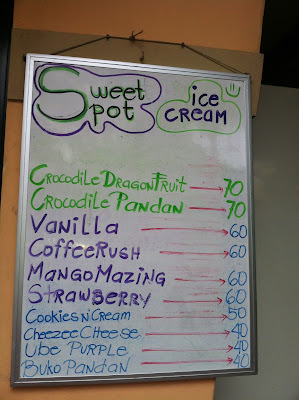 But I'm curious with the crocodile pandan. Ice Cream, I am drooling at the moment. Yummy and special ang flavor. Sana they have branches in Metro Manila. Now I'm craving for ice cream,waaa!! I think whatever the flavor is, for as long as it is ice cream, I will always go for it, lol!